In our daily routine life, we use utility Applications and we are not aware about it. Yes! We don't realize that we use utility apps in our daily life. 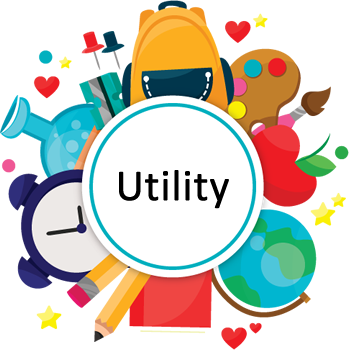 Utility application helps us to perform our day to day activities easily and effectively. Thus, we are here to help you in Utility app development. How we understood the technique of Utility app development solution? In the daily routine life, people used to do many things and they even don't realize about that. Same way, people uses utility applications to maintain their routine life which has increased the importance of Utility Applications. To create an ideal Utility mobile application solution, business objectives are very much important with the mobile application strategy. We at Concetto Labs have Utility App development experts. They can provide variety of solution to resolve the day to day life problems of human being. First, we utilize the maximum functionality covered by the mobile phones. Couple of them are GPS integration, Distance and height Measurement, Device sensors for tracking and many more. All in one we can say that we are best team to develop your Utility Application. How we became autobots in providing our services of utility app development for our client? Utility Application can help you to improve your business through the proper plan execution. It can make business process smoother. Here is the list of different services that will help you to implement it. We built the Utility apps that can integrate body gestures with the Watch. To keep the reminder of participle events or else Utility applications are very useful. People get notified when the specific event organized. Wireless smart devices like Laptop, TV, Mobile Phones etc can be integrated with the application. We can integrate your camera with the application that helps you to click the picture of particular event. Flash lite can be integrated with the Utility application. It can be operate through single click on the button. Apart from these services, we are capable to provide you more customized features in your application. It will keep you separate from your competitors. Utility applications can help you to grow your business gradually with a single application. An application with the GPS integration is also a part of Utility Apps. Utility applications are helpful in proprietary solution development. It helps customer to make easy and effective decision for the product. Why we would be your first choice as your utility app development company? We deliver the solution which can help you to increase your productivity. We have a skillful development team that can work on simple to complex projects without compromising with the quality. Your time is more precious for us. Therefore, we stick to the time limit for project delivery. We always provide the effective solution to expand your business in its best version. How we achieved a higher state in utility app development that our competitors? For web and mobile app development whenever the customer will need our help. We will be there to support them. Our project delivery time doesn't depend on the complexity of your project. We do what we committed. We have a team of utility experts who care capable in delivering amazing results. We know the importance of quality. Thus, we never compromise with the quality and it doesn't depend on the size of project.